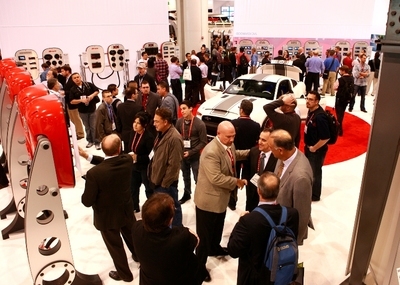 Las Vegas, NV, USA - January 09, 2013 - Major product launches from more than 3,250 exhibitors and keynotes from the leaders of Panasonic, Verizon and the Next Generation of Innovators panelists kicked off the 2013 International CES on Tuesday. Gary Shapiro, president and CEO, CEA, delivered the State of the Consumer Electronics (CE) Industry address Tuesday morning. Shapiro projected that CE industry revenues will reach a record-high $209.6 billion, domestically, up nearly three percent from an estimated $203.9 billion for 2012. He compared the strength of the 2013 CES to the success of the global technology industry which will exceed $1 trillion in 2013. 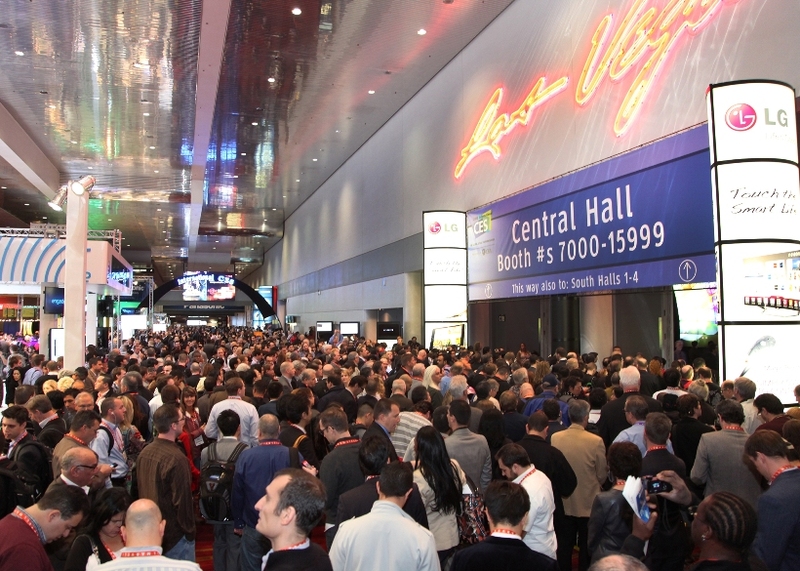 Excited attendees flood into the Central Hall exhibits to see the latest and greatest in technology at the 2013 International CES. Business connections multiply, the energy amplifies in and around the Las Vegas Convention Center/Hilton and The Venetian, the largest consumer technology tradeshow's venues. 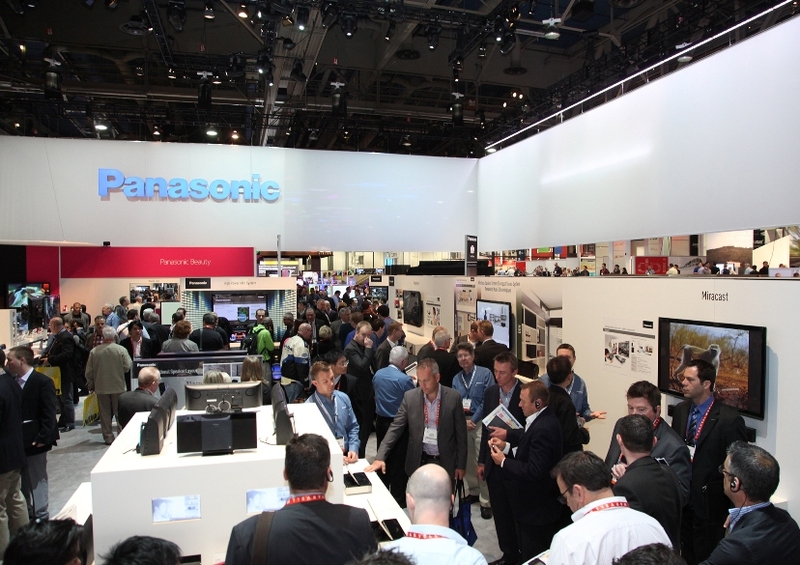 Major product launches from more than 3,250 exhibitors and keynotes from the leaders of Panasonic, Verizon and the Next Generation of Innovators panelists kicked off the 2013 International CES® on Tuesday. 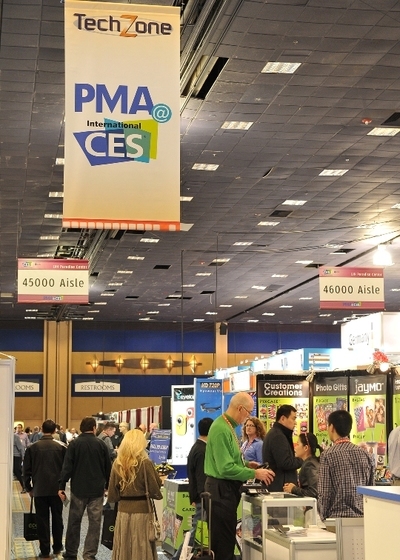 PMA@CES is the place to be for the most-concentrated exhibits of digital imaging/photography products and services at the 2013 International CES. 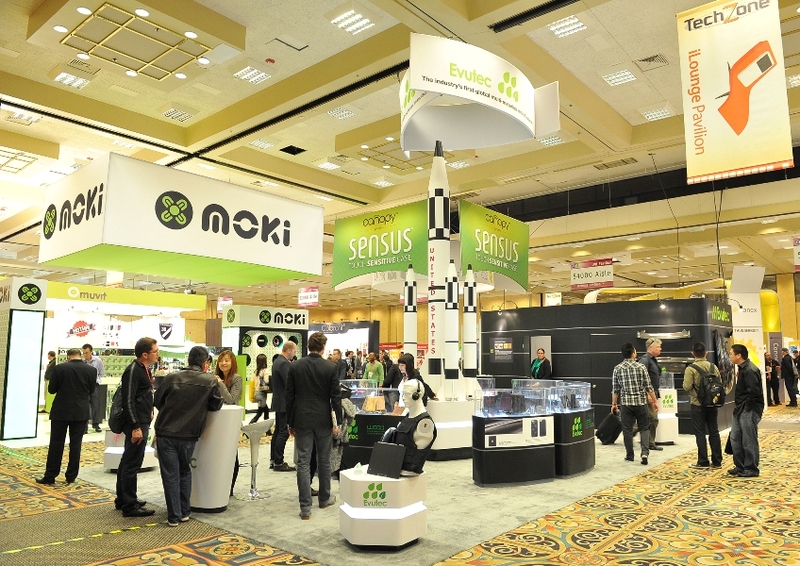 Owned and produced by the Consumer Electronics Association (CEA)®, the 2013 International CES, the world’s largest annual innovation event, runs through Friday, January 11 in Las Vegas, Nevada. Attendees at the 2013 International CES enjoy LG's exhibit in the Central Hall. 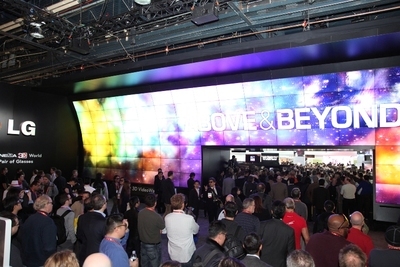 “Opening day of CES was abuzz with products and technologies that allow seamless connection to devices so that we can do everything from enjoy content to monitor health and find smarter ways to manage our homes,” said Karen Chupka, senior vice president of International CES and corporate business strategy. 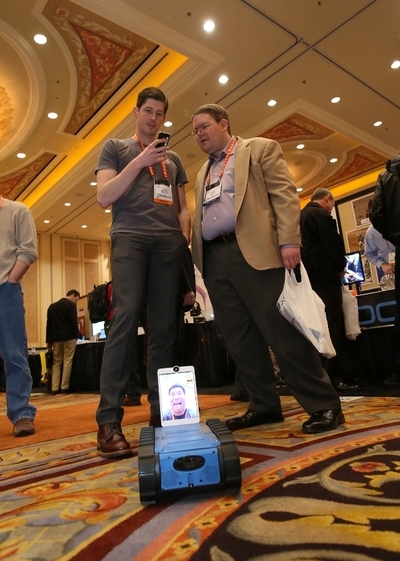 Attendees check out the latest in technology in the North Hall at the 2013 International CES. Gary Shapiro, president and CEO, CEA, delivered the State of the Consumer Electronics (CE) Industry address Tuesday morning. CEA's Gary Shapiro introduces Panasonic's Mr. Kazuhiro Tsuga to deliver the opening keynote at the 2013 International CES. 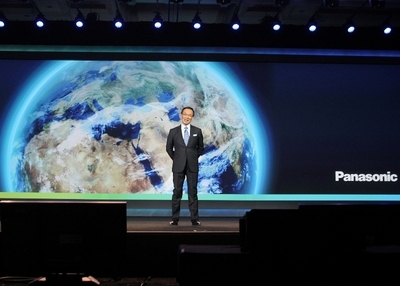 Panasonic's Mr. Kazuhiro Tsuga delivers the opening keynote at the 2013 International CES. Shapiro projected that CE industry revenues will reach a record-high $209.6 billion, domestically, up nearly three percent from an estimated $203.9 billion for 2012. 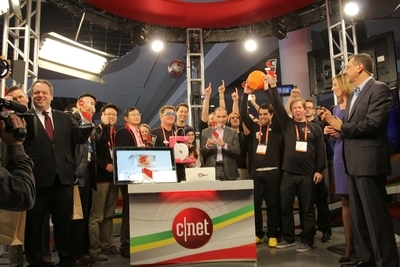 He compared the strength of the 2013 CES to the success of the global technology industry which will exceed $1 trillion in 2013. Shapiro also cited innovation as the cornerstone to global industry and economic growth. 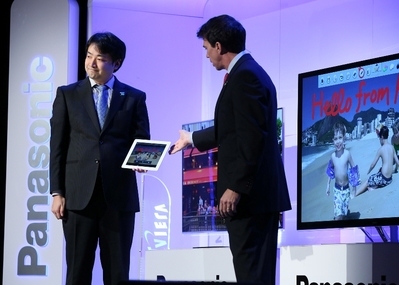 Panasonic making news announcements during a press conference at the 2013 International CES. To stay in front of the pace of innovation, he noted that top companies must operate as an elite strike force, going beyond the ordinary to perform truly extraordinary tasks and take risks along the way. 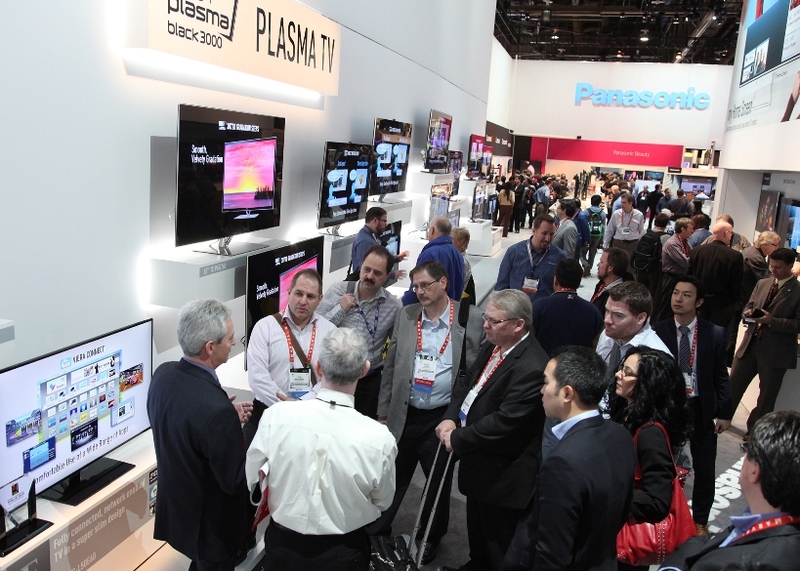 Industry members view the latest in technology in the Central Hall of the 2013 International CES. 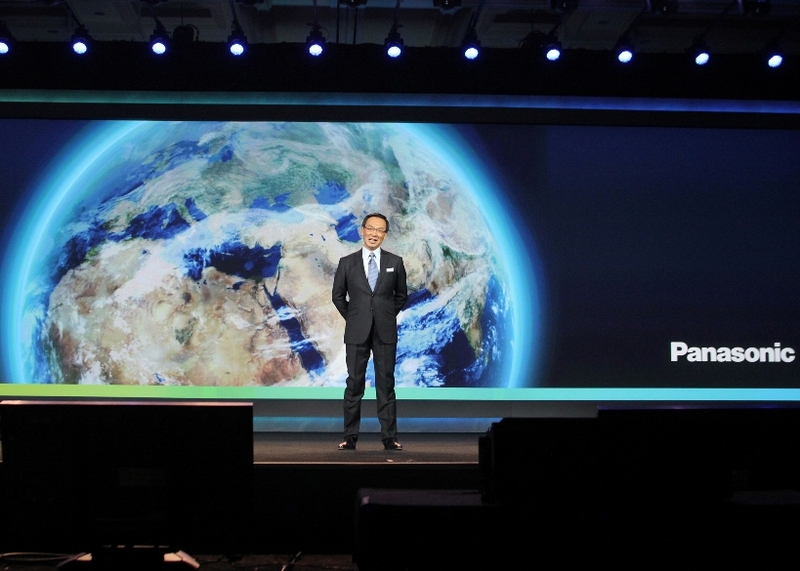 Panasonic Corp. President Kazuhiro Tsuga took the stage for the opening keynote and in his address he discussed Panasonic's contribution to consumer life beyond the living room. Solutions for home energy, in-vehicle connectivity and energy efficiency, business, in-flight connectivity and infotainment and energy for the community were all highlighted. 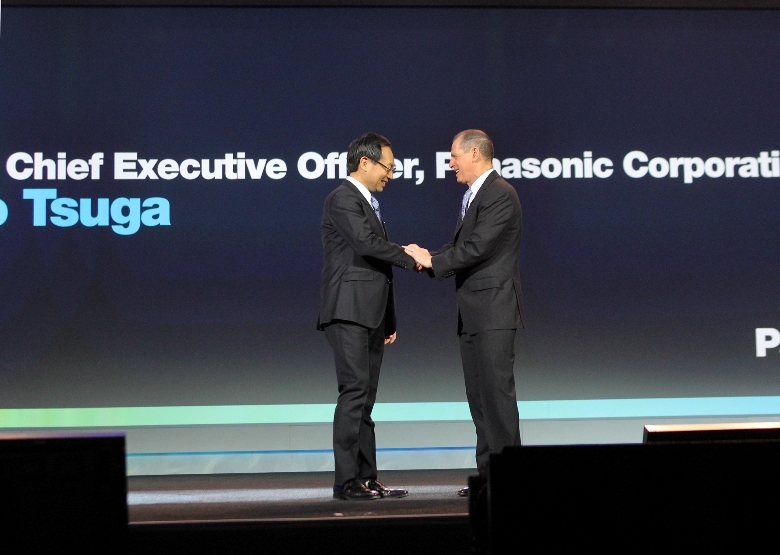 Tsuga was joined on-stage by journalist Lisa Ling, who served as a moderator for the morning. 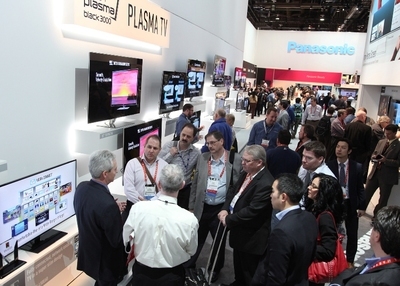 Industry members peruse an exhibit in the North Hall at the 2013 International CES. Among others who took the stage were Panasonic CEO of North America Joe Taylor; Tim Vanderhook, co-founder, President and CEO of Specific Media; Phil Abram, Chief Infotainment Officer, General Motors; former CEO of Air New Zeland Ron Fyfe and Newark, New Jersey Mayor Cory Booker. 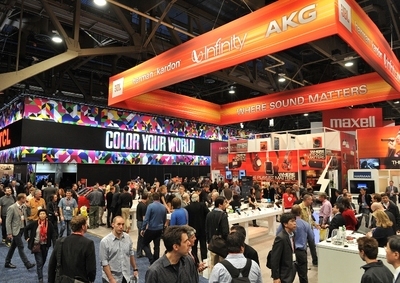 Attendees visit the iLounge Pavilion which features the latest and greatest third-party accessories and software for Apple's iPod®, iPhone® and iPad® at the 2013 International CES. Tsuga and Taylor showcased several new and innovative Panasonic products making their debut at CES including the world's first 4K OLED TV and Panasonic’s 20” 4K tablet. The Next Generation of Innovators keynote highlighted CES as the home for entrepreneurs and featured Jeff Jordan, a partner at Andreessen Horowitz, as moderator and included executive/founder David Lieb of Bump Technologies, Cyrus Massoumi of ZocDoc, Eric Vishira of RockMelt and will.i.am of i.am.plus,llc. The panel openly discussed ideas for businesses, company culture, the role of mobile, and what the government can do to help promote innovation. 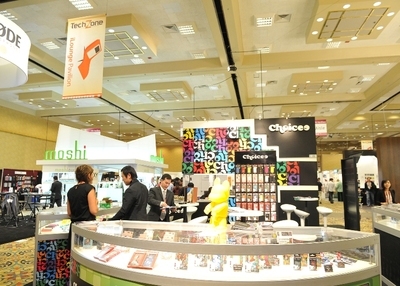 The panel agreed that kids should be encouraged become entrepreneurs. Industry members enjoy the exhibits of start-up companies waiting to be discovered in the Eureka Park TechZone at the 2013 International CES. Much of the discussion revolved around anticipation of future innovations and facilitating a culture and products to prepare for it. 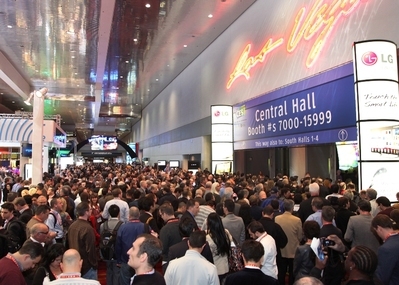 Verizon Chairman and CEO Lowell McAdam took the stage Tuesday afternoon for his CES keynote address. 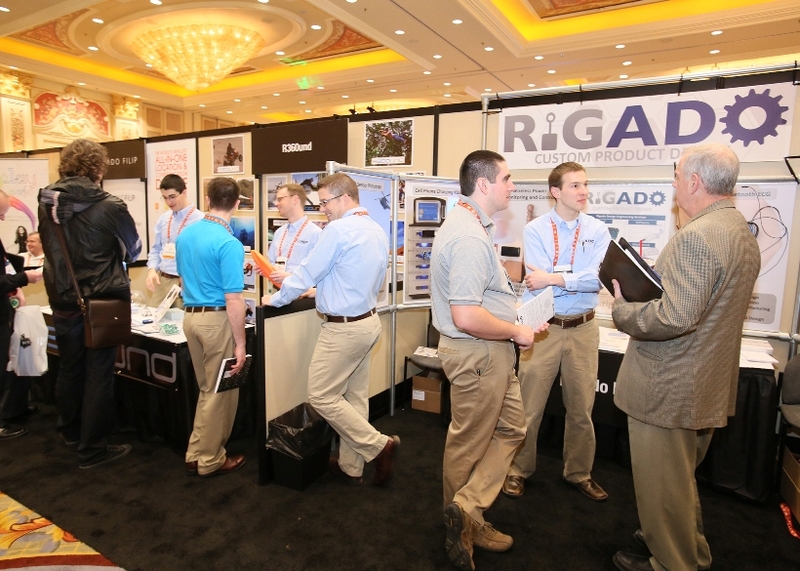 Attendees enjoy a hands-on demonstration at the Eureka Park TechZone exhibits in the Venetian at the 2013 International CES. McAdam addressed the numerous ways in which Verizon’s network is engaged including facilitating video anywhere, creating a jukebox for the TV, working with the NFL to have the Super Bowl broadcast via mobile in 2014, realizing machine-to-machine communication with the connected environment and supporting Ford Sync’s open platform with the vision of having the car get to know the driver, as opposed to the other way around. The Huffington Post's Arianna Huffington moderates the panel "Digital Health Revolution: Body, Mind and Soul" in the Digital Health Summit at the 2013 International CES. 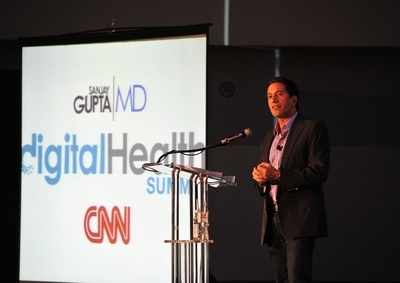 The Digital Health Revolution: Body, Mind and Soul SuperSession was moderated by Arianna Huffington of the Huffington Post with panelists Deepak Chopra, The Chopra Foundation; David Daly, Life Technologies; Andrew Thompson, Proteus Digital Health, Inc.; Reed V. Tuckson, UnitedHealth Group; and Sonny Vu, Misfit Wearables. Dr. Sanjay Gupta, CNN's Chief Medical Correspondent, moderates a panel with military top brass to give an inside peek at the impressive and impactful advancements taking place with digital health inside the military at the 2013 International CES Digital Health Summit. The panelists agreed that technology must address preventable health issues, and Huffington identified trends for what the digital revolution means for the body, mind and soul. Panelists identified the need for the health industry to use innovative technology to destroy fundamental business models and projected that solutions will come from mobile technology. Molly Wood and Brian Cooley applaud the winners of CNET's Next Big Thing: The Post-Mobile Future - Mapping the Next Frontier of Consumer Electronics at the 2013 International CES. CNET’s Molly Wood and Brian Cooley presented the 10th annual Next Big Thing at the 2013 CES with an executive panel that featured Mark Cuban of HDNet, James Fishler of LG, Sheryl Connelly of Ford and Fared Adib of Sprint. The executives debated the post-mobile future and discussed the benefits of a connected world, how close we are from that future and the challenges of getting there. Personalized medicine and a simple, more streamlined experience featuring smart, connected platforms were two of the applications discussed. 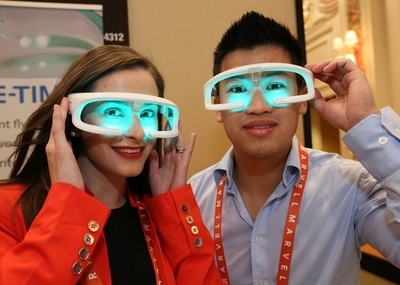 The panel agreed that the post-mobile future needs to feature devices that are easy, pervasive and affordable. The Consumer Electronics Association (CEA) is the preeminent trade association promoting growth in the $209 billion U.S. consumer electronics industry. More than 2,000 companies enjoy the benefits of CEA membership, including legislative advocacy, market research, technical training and education, industry promotion, standards development and the fostering of business and strategic relationships. 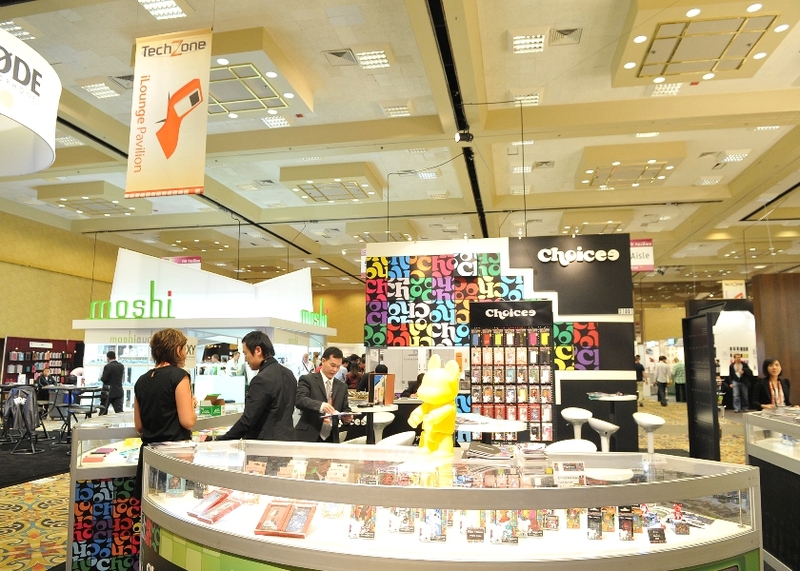 CEA also owns and produces the International CES – The Global Stage for Innovation. All profits from CES are reinvested into CEA’s industry services. Follow CES at www.CESweb.org and through social media.